WATCH Why do Mega Million jackpot prizes get so big? The Powerball jackpot will inch closer to half a billion dollars after no one won the $414 million drawing on Saturday. 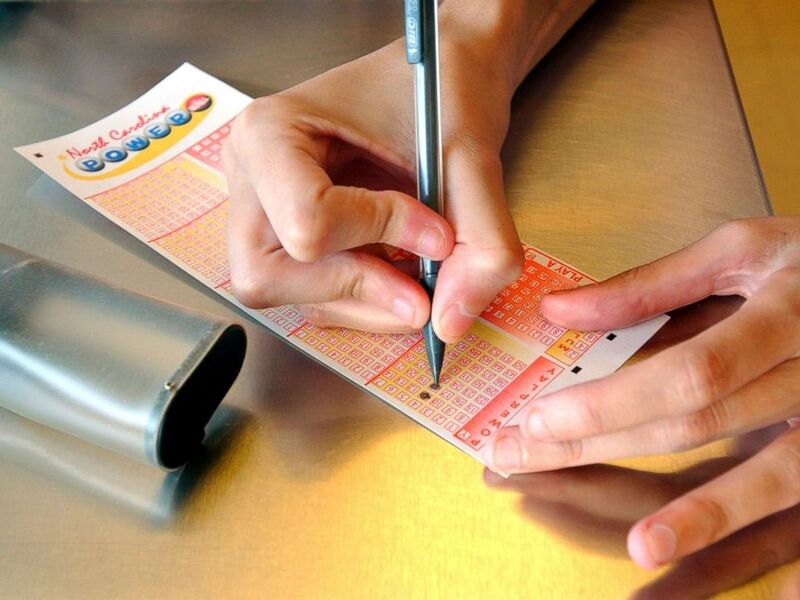 The drawing on Wednesday will be worth $448 million. The numbers for Saturday's drawing were 5-6-45-55-59 with a Powerball of 14. While there was no first place winner, someone in Puerto Rico took home a $2 million prize and winners in Nebraska and Texas won $1 million. The $448 million drawing is the largest Powerball jackpot of 2019 so far, and the 11th-largest Powerball jackpot on record. The odds of winning? One in 292.2 million. A woman fills out a Powerball ticket, May 30, 2006, in Raleigh, N.C.
Whoever the winner is, the lucky ticket-holder will have 180 days to claim the jackpot. But, sometimes it takes months for someone to come forward and claim the prize. That's what happened earlier this week when the sole winner of the $1.5 billion Mega Millions jackpot from October 2018 claimed the prize. The person, from South Carolina, chose to remain anonymous and took the cash option of a one-time payment of $877,784,124. The winner took so long to come forward, residents in the industrial town where the ticket was sold assumed he or she was dead. The payout was the largest to a single winner in United States history, officials said.